We do not curently have theatre tickets available for OOMPH!. This could be because we have simply sold out or it could be that this show is no longer running. The information on this page remains purely for historical and informational purposes. Hailed as pioneers of the German 'tanz metal' (dance metal) scene and heavily influencing late-'90s acts like Rammstein, Oomph! were arguably one of the most controversial, influential, and popular German goth-industrial bands to emerge in the early '90s. 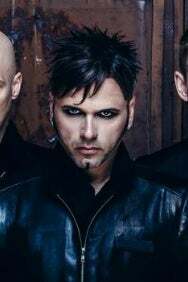 In spite of their importance to the German industrial scene, however, Oomph! didn't break into the mainstream until the early 2000s.